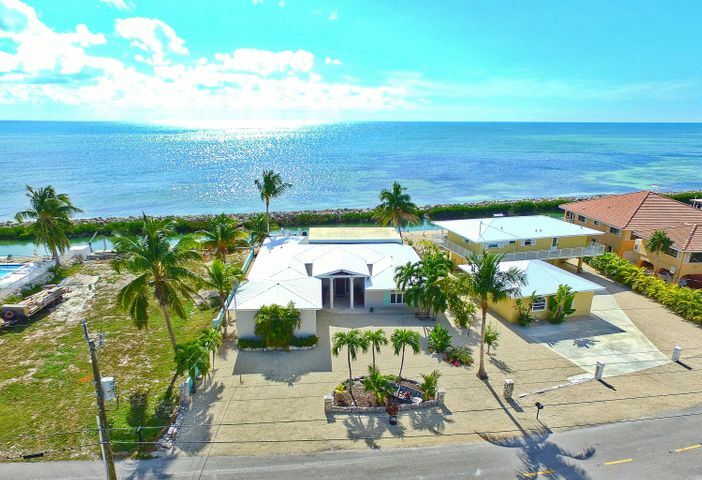 Your Peaceful Paradise awaits… at this expansive and centrally located OCEANFRONT property with 4 bed/ 3 bath, 2578 Sqft living on prestigious Duck Key. Enjoy beautiful and unobstructed ocean sunrises & sunsets from your backyard! Raised Ground level home with no flooding from Irma. 79 feet concrete seawall with a drop down middle, 10,000 lbs. boat lift. Plenty of room to add a pool and a 2nd-floor addition for more space. Enclosed 2 car garage with room to store everything. SELLER FINANCE POSSIBLE. Great neighbors and a safe community for families with security patrolling the island.